Monteverdi’s history begins in the year 754 with the foundation of the San Pietro Abbey in Palazzuolo, built by Benedictine monks under the leadership of Lombard San Walfredo, legendary ancestor of the counts of Gherardesca. The saint never actually left the village, in fact he is buried in the Oratory of the Blessed Sacrament, where there are sculptures from Siena and a beautiful wooden crucifix from Florence. The small, attractive town of Monteverdi Marittimo can easily be explored thanks to two types of route, one of which can be accessed via three ring roads which go around the highest part, where the town hall is found, or you can go to the oldest area along the so-called wrinkles, which is the name of the dense network of pedestrian paths that intersect the ring roads. Immersed in a beautiful countryside, the area has many places worth visiting, one of which is Canneto, an ancient defensive structure which is still surrounded by its original wall. This small village has a special oval layout, with numerous tower-houses and the stunning Parish Church of San Lorenzo. The wild and untouched nature is on the rugged south-western slope of the Metalliferous Hills, making the area a particularly suitable destination for lovers of trekking and bicycle tours. 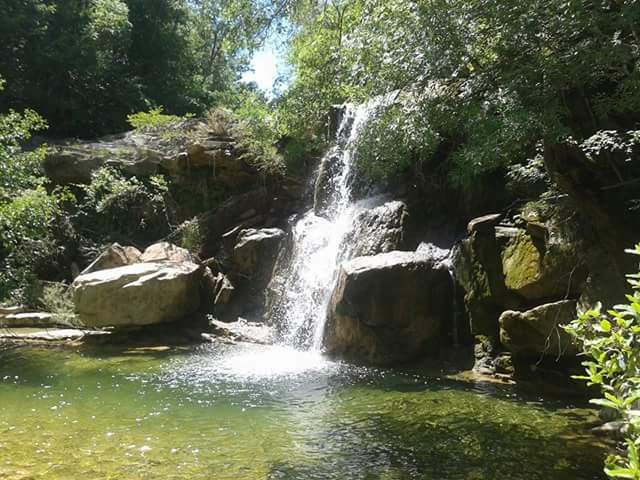 The forests and Mediterranean scrub, which have several streams running through them, are the perfect habitat for the typical flora and fauna of the coastal area. In Monteverdi Marittimo, there is the Monterufoli-Caselli Nature Reserve, managed by the Alta Val di Cecina Mountain Community, known in Italian as the Comunità Montana Alta Val di Cecina. Wild boar, roe deer, foxes, badgers and squirrels live there, along with some more recently-established animals, like wild sheep and fallow deer. Without a doubt, one of the best times to visit the area is during the traditional Festa dei Maggerini (celebrated at the beginning of May every year), which draws its origins from propitiatory pagan rituals, celebrated to ensure that the crops would prosper. For the whole day, the “maggerini,” accompanied by poets and armed with a lemon hanging off the branch of a bay tree, knock on the door of every house asking for food and drink offerings and repaying the donations with folk-song performances.